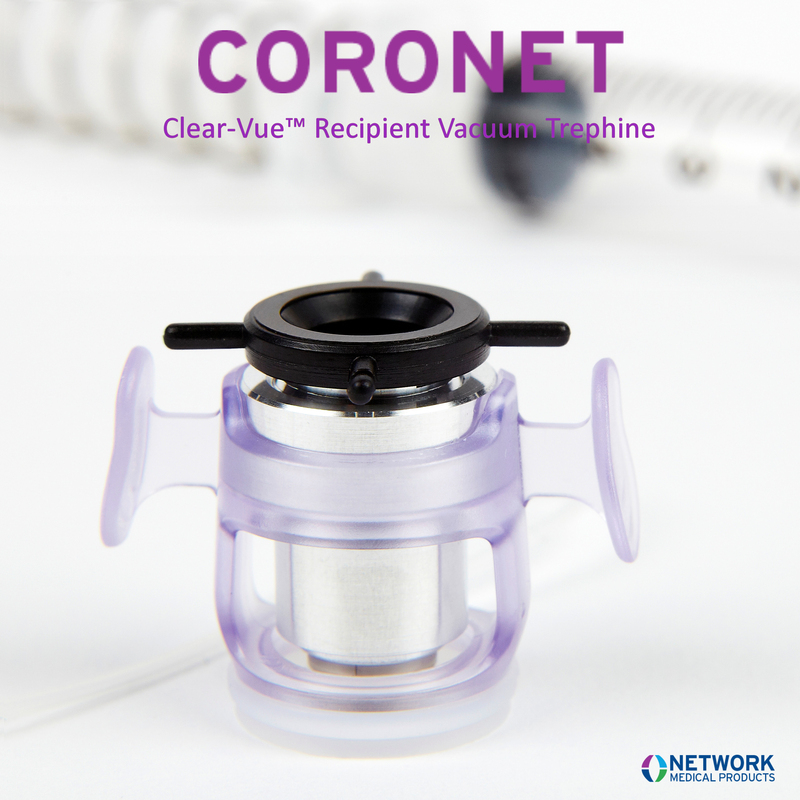 The launch of the CORONET™ Clear-Vue™ by Network Medical marks a step change in corneal trephine technology. Developed to address the challenges of eye topographies, the Clear-Vue™ features a soft adaptive skirt, which conforms to the individual patient. The unique design features a lightweight and transparent body which sits on the limbus as opposed to the cornea, to form a consistent and secure vacuum away from the incision. In addition to providing 360° visualisation of the cornea throughout the procedure. The Clear-Vue™ also features ergonomic finger grips to work in harmony with the surgeons natural hand position and a precision cross hair for increased accuracy. Network Medical has been designing and manufacturing high quality precision trephines for 20 years.